Raised garden beds, otherwise known as garden boxes, are an easy, space-friendly option that is ideal for growing small plots of veggies and flowers. When you choose a raised garden bed, you can expect to enjoy many significant benefits. The walls of your raised garden bed offer the perfect protection from weeds and pests. Raised beds are a great way to prevent soil compaction, which can restrict aeration and water, thus impacting root growth. Raised garden beds are open to the ground, allowing for much better drainage than you would otherwise have with regular garden planters. Choosing raised beds are a great way to prevent back strain by making your garden higher and easily accessible. You work hard on preserving your garden; opt for a convenient way to make the most out of it. 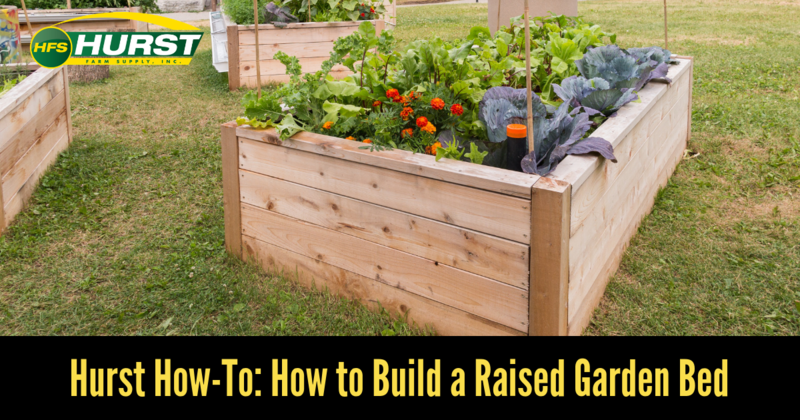 Expect to get that and much more with this practical, easy-to-build DIY raised garden bed. I have what I need. Let’s get to work! First, pick the right spot. Take some time to find a spot in your garden that is just right for your new raised garden bed, preferably one that is optimal for daily sun exposure. Positioning the longer sides toward the north and south is typically the best way to go! Second, let’s build the frame. On a flat surface, stand one of your 4-foot 2x12s on its narrow end and position one 16-inch 4x4 upright and flush with the end of the board. Have a helper hold them in place while you drill to attach. Once that one is secure, repeat these steps to attach a 4x4 post to the other end of the same board. Now that one side is complete, use another 4-foot 2x12 and two more 16-inch 4x4 posts to build the other side. You now have your two 4-foot ends and it’s time to attach the bed’s long sides. With help from a friend, position your first 8-foot 2x12 so that it is between the two 4-foot sides and flush with both corner posts. Drill and repeat with the other 8-foot board. Your frame is now complete! Next, let’s get it in the ground. You’ve built your frame and decided on the perfect place to put it, so now it’s time to get it into position. Dig a 5–6-inch hole for each corner post and lower the frame into place. Once the frame is in place, use your level to make sure it is even on all sides. After that, set up your raised bed’s defenses. If you’re worried about pests making their way into your brand new garden bed, now is the time to pull out that mesh hardware cloth that you picked up earlier. After raking and tamping the existing soil on the bottom of your bed, line the bottom with the cloth, curve up the ends of each side, and secure them to the walls of the bed with staples. Then, using wire cutters, trim any excess wire that may be present. Don’t forget your gloves for this step! Everything has been built and now is the time to add in the good stuff. A 50/50 mix of planting soil and compost should do it. Now for the fun part! Your brand new raised garden bed is now the perfect place for keeping all of your veggies, flowers, and herbs contained and safe in one, easily-accessible place. What do you plan to plant in yours? Be sure to tag us when sharing your hard work on Facebook and Instagram! 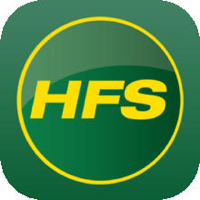 Your local Hurst Farm Supply is the best go-to place for all of your DIY tips and chores this spring. Subscribe to our blog to stay up to date and download your Free Lawn Care Guide for help keeping a happy and healthy lawn in the spring, throughout summer, and well into fall!